The Art Institute has been online since the early days of the web. Following the launch of our first website in 1995, we have consistently challenged and appraised how we function on the web. Now, as part of a multiyear initiative to completely redesign our website, we have scrutinized every layer of the visitor’s digital experience. With fresh insights in mind, we created a new website that highlights the full range of the museum’s dynamic offerings—the collection, exhibitions, and public programming—and helps users connect more intimately with the stories behind the artwork. 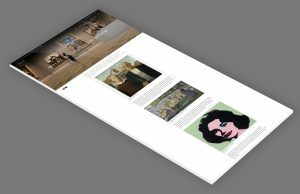 No matter how they digitally encounter our content—through email subscriptions, keyword searches on search engines, or stories on social media—we want to help visitors find the artworks that inspire them. Through features such as our recommendation engine, we are working to surface lesser-known artworks to accompany old favorites. 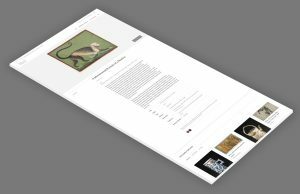 To further connect visitors to our collection, we’ve released thousands of images into the public domain on the new website in an open-access format. Made available under the Creative Commons Zero (CC0) license, these images can be downloaded for free on the artwork pages. 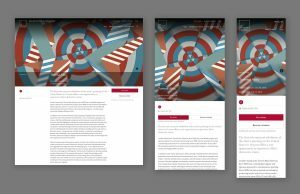 We want the new site to feel like a canvas that captures the energy of all the activity at the museum: the live events and lectures, ever-growing scholarship, wide-ranging collection, and robust exhibition program. The deeper visitors browse, the more evident it becomes that the Art Institute is not a static monument to art but a constantly evolving experience.